The deadline for 2019 Applications has already passed. Please check back in December to apply for the 2020 SIO Academy. The Association of International Education Administrators is pleased to offer the 2019 AIEA Academy for new senior international officers. The Academy will take place in Durham, NC, from April 29-May 3, 2019. This training program is designed for administrators in the first five years of their current appointment. The program will accept up to 17 Senior International Officers (SIOs) at higher education institutions with less than 5 years in their current position. Each participant will be asked to identify a specific challenge or topic of particular interest to them as SIOs, and to write a brief 1-page essay (max 300 words) about this as part of the application process. Upon successful completion of the Academy, participants will receive a certificate of completion issued by AIEA. Applicants will be accepted through the February 15 application deadline. Applicants will be notified of the status of their application by March 15. The participants will be housed together in the Kings Daughter’s Inn, a small five-star boutique hotel on edge of Duke University’s East Campus. There will be four faculty members for the Academy, all current or former SIOs, who will be present for all sessions. The Academy faculty are Pia Wood (University of North Texas), Penelope Pynes (University of North Carolina, Greensboro), Riall Nolan (Purdue University), and Harvey Charles (University at Albany, State University of New York). Additional speakers will include Darla Deardorff (AIEA). Each faculty member will chair two topical sessions, but all will comment on each topic. There will also be three sessions set aside for presentations and small group discussions among the participants to apply the knowledge to their own contexts. Through the Academy, participants will gain valuable knowledge and insights into how to lead comprehensive internationalization at their institutions. Participants will be asked to arrive on Monday afternoon, April 29 in time for an opening dinner at the Kings Daughter’s Inn. The following Tuesday, Wednesday, and Thursday will feature two working sessions each morning and two in the afternoon. Breakfasts and lunches are provided. No dinners are scheduled for Tuesday and Wednesday. There will be a closing dinner on Thursday night at a leading restaurant in downtown Durham. Friday morning will feature a session for presentations by participants and the awarding of certificates of completion, after which people will be free to depart. 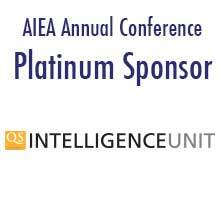 The fee for the 2019 Academy is $1750 per person for AIEA members, and $2450 for non-members. This fee covers the cost of lodging (Mon-Thurs nights), materials, breakfasts, break snacks and beverages, lunches (Tues.-Thurs. ), and the opening and closing dinners. Participants will be responsible for their own travel expenses, airport transfers, two dinners (and The Sage Handbook of International Higher Education, which is a recommended text for the Academy). Full payment is due within 5 business days of notification. If you have any questions, please send an email to [email protected] or call (919)-893-4980. A partial refund of $1000 is possible if notified in writing to [email protected] by April 15. No refund is possible after April 15. "The Academy is the best professional development program I participated in the last few years." "I now have a network of peers I can rely on, and the networking and validating challenges and experiences with colleagues was quite valuable." "What was most valuable from the Academy? Learning from the faculty who were so open with their wisdom and were around the table with us. We had great discussions with colleagues and were able to present problems and solve them together. The group was outstanding." "This was a personally transformative event for me. It was also professionally transformative. It has re-energized me and will be a benchmark in my career going forward." "The academy was very worth-while from my perspective. The number of participants, diversity of participants, and topics discussed at the academy will be valuable to me moving forward in my role as SIO. Most importantly, the networking that took place was outstanding."